In the backcountry, a utensil needs to be more than a just a utensil. They should multi-task, and be compact and light enough to bring anywhere without hesitation. With that in mind, MSR built all of the utensils to fold with the simple squeeze of a handle, and made sure they did more than scoop, flip and strain to earn their way into your pack. 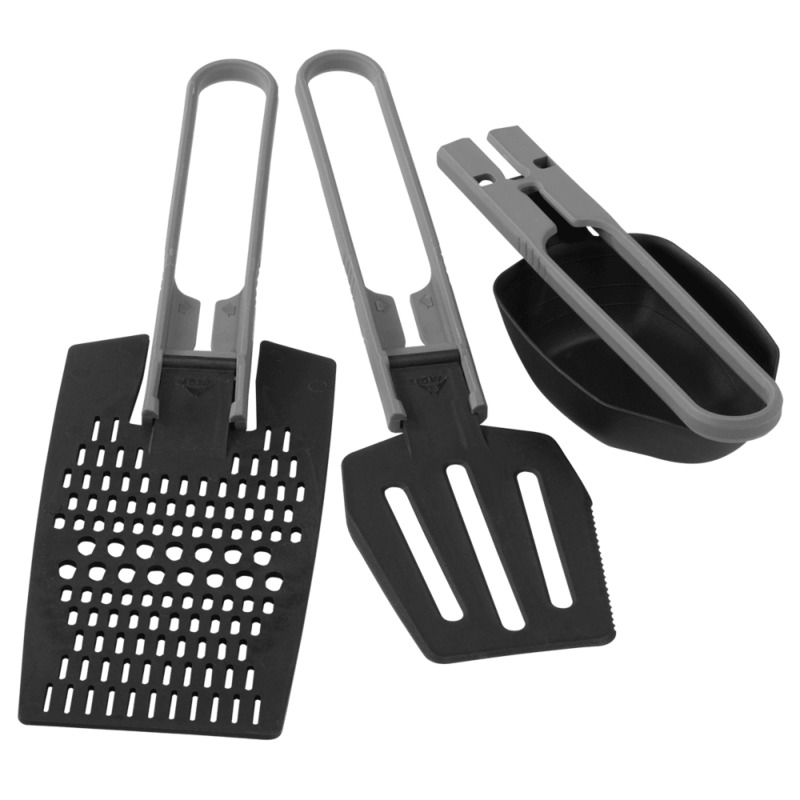 Weight: Full set – 3 oz., Spatula - .7 oz., Spoon – 1 oz., Grater-Strainer – 1.2 oz. Full Set Packed Size: 6.6 x 3 x 3.3 in. Spatula Packed Size: 6 x 2.5 x 1.5 in. Spoon Packed Size: 6 x 2.4 x 1.3 in. Grater-Strainer Packed Size: 6.6 x 3 x 0.5 in.